Missoula Plumbing Contractors vs. General Plumbers. What's best for you? Do you know the difference between Missoula plumbing contractors and general plumbers? If you’re a homeowner or property manager, you should have a short list of local professionals on call. 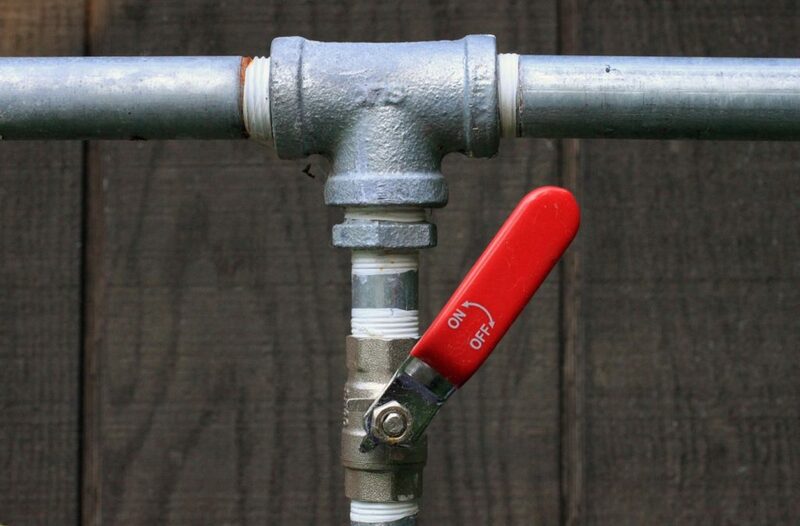 Learn what plumbing contractors and general plumbers do, so you will be prepared for anything! You might not easily distinguish between a general plumber and a plumbing contractor. Truthfully, the terms are confusingly similar but there are major differences when it comes to services offered, capabilities, and specializations. If you’re a homeowner or property manager, it’s necessary to understand what each one can do. Learn the differences and you will be able to identify who’s the better fit according to the project at hand. If you’re looking for plumbing professionals in Missoula area, ideally you should work with a plumbing contractor who will serve you long term. Missoula plumbing contractors can handle the most complex projects and installations. Plumbing contractors may work on larger projects in general like developing a sewage system, installing gas connections and flues, or working on water heaters, which involve gas and electricity. These types of contractors often specialize in commercial plumbing, but many also provide residential plumbing services. Besides the large-scale abilities of most Missoula plumbing contractors, their technicians are also capable of smaller repairs and things like unclogging drains. The best Missoula plumbing contractors specialize in new construction, and have experience working with remodeling and renovations. Any installation or maintenance job that deals with a residential or commercial property’s water supply, septic systems, water filtering or treatment will be a good fit for a Missoula plumbing contractor. If all you need is a new faucet or someone to fix a clogged toilet, a general plumber may be a great choice. A general plumber, sometimes called handyman, is normally the first one called to clear pipes and fix small plumbing problems. Often, general plumbers have a smaller range of capabilities than a legitimate plumbing contractor. Plumbers by trade may or may not work for fully insured plumbing companies. Some plumbers are independent, or work as a plumber as a side job. Some general plumbers are experts with broad experience, where others have received informal training and only specialize in basic plumbing services. Common services that general plumbers will usually offer include plumbing appliances such as: showers, bathtubs, sinks, faucets, toilets, shower drains, garbage disposals, hot water dispensers, etc. You may find general plumbers who can install pipes and water lines, but big projects like these are not recommended unless perhaps the plumber works for a fully licensed, bonded, and insured company. The cost of plumbing-related jobs in Missoula will depend on the company you hire, and it will also depend on the nature of the work. Plumbing contractors’ service costs are usually higher than what a general plumber or handyman will charge; but these upfront quotes can actually be very deceiving. Contractors charge according to the job, and they can finish the work in a shorter amount of time because there are multiple technicians working together when the project calls for it. Independent plumbers are usually a one-man show, and they may charge hourly or a flat price per day. This will cost more in the long run if the plumber takes several days or even a couple of weeks to wrap up the project. Price flexibility has a lot to do with the systems and hardware you order, especially when it comes to installations. If you need a new water heater or a pipe fitting, a general plumber will go to the local hardware store and pay the retail price for it, plus tack on a convenience charge for his trouble. A plumbing contractor on the other hand will order the necessary parts from their dealer, or grab them from their warehouse. Buying directly from a dealer or manufacturer is cost effective, and fair contractors pass the savings on to the customer. If you’re concerned about staying under budget, the best way to keep prices low is to hire a plumbing contractor and get into a customer loyalty program like the Garden City VIC program. This saves you money in the long run and also ensures that systems are properly maintained year after year so they will be kept in working order and last much longer. Differences between a Missoula plumbing contractor and a general plumber are probably most significant when it comes to job performance. When you are hiring a plumbing professional it is wise to consider the type of work that needs to be done, from minor repairs to more complex jobs. Pay careful attention to the list of services provided by each prospect. Also, remember that reliability is going to vary. Plumbing contractors generally have a secretary or front desk where calendars are managed and company phone lines are answered. You are more likely to get through to a professional Missoula plumbing contractor if you need to change your appointment or make a request. Phone calls and updates will be more reliably delivered from this type of professional home base, rather than counting on a plumber to call back from his cell phone in between other jobs. Quality of services and capabilities are likely to differ, too. If you hire a general plumber to do a complex job you might find out the hard way that your worker is not experienced or qualified to do that type of project. On the upside, if you hire a plumber to do a project and he’s honest with you, he might tell you that you’ll need to call a contractor in to handle it. Unfortunately, if your plumber doesn’t want to lose the job, he might tackle a project that’s outside of his abilities and you will end up regretting it later. When in doubt, call a plumbing contractor out. Choose the right Missoula Plumbing Contractor for the job! If you’re looking for a new Missoula plumbing contractor or general plumber, you should start by asking local friends for referrals. You can also search online for reviews on Google, Yelp, Facebook, and industry-specific resources like Angie’s List. The Better Business Bureau should be the last step before calling to schedule a service call, because you will see if there are any red flags. Garden City Plumbing & Heating has an excellent reputation as a Missoula plumbing contractor, and they’ve been serving the local community since 1985. Do your research and keep your preferred plumbing professional’s contact info on hand so you’ll be prepared for whatever comes up!